Look for me at Stratus Vineyards' Kristlemas Market on Dec 14, 2014! Welcome To Candy By Candy! 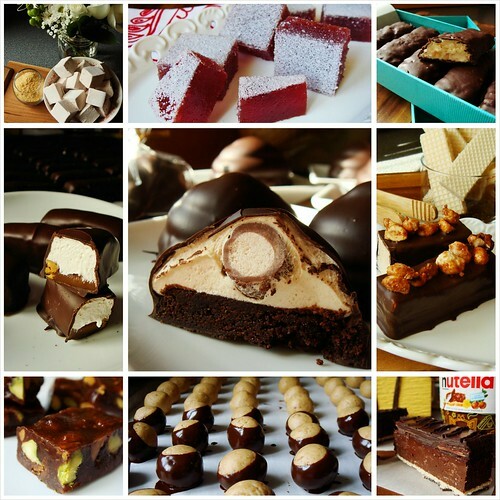 I am excited to introduce Candy By Candy, a treasure trove of unique handmade candies and chocolate treats! After months of recipe development, I am bringing you the Winter 2014 Collection. It is full of unusual twists to familiar favourites and my interpretations of tried-and-true classics. You are welcome to explore the collection online. Better yet, look for me at my upcoming market appearances and find out in person! Life needs more sweetness. 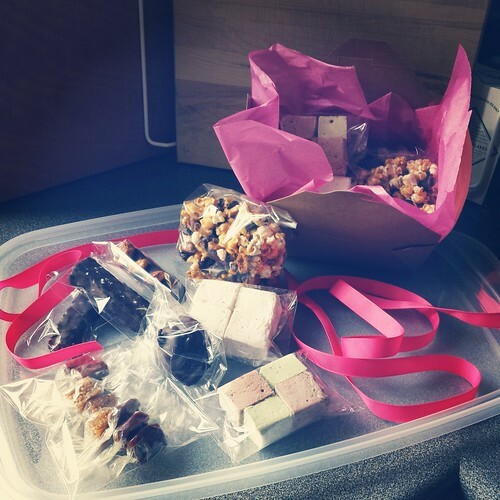 Let Candy By Candy help you share the joy of indulgent handmade sweets. 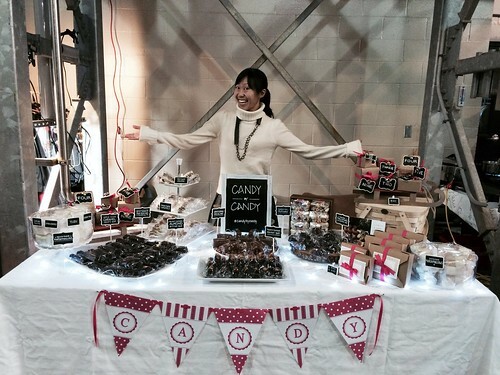 Last Sunday marked a milestone for Candy By Candy: my first pop up shop! The relaxed and convivial atmosphere at Stratus Vineyards’ Kristlemas Market put everyone in holiday spirits. I could not imagine a better setting for a debut. It was a busy week leading up to the market. I even set up a mock table at home to make sure everything would be ready! 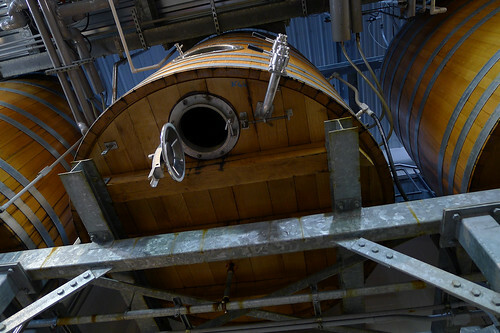 On Sunday, I arrived bright and early in Niagara-On-The-Lake and nestled my table beneath one of the 8000L wine barrels in the vineyard’s press alley. At eleven o’clock sharp, my first customer came and scooped up marshmallows, mocha mallomar surprise, and Kristlemas special bar. From that moment on, it was a day of non-stop fun. I am so glad that I got to meet many of you in person! Although I’ve been showing you photos and descriptions of all the candies and chocolates over the last little while, it doesn’t compare to seeing and tasting the real thing. 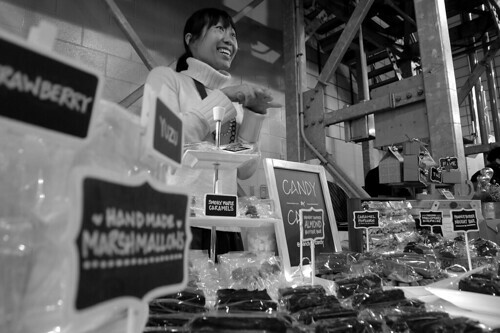 You made me happy to see faces light up at first taste of handmade marshmallows. 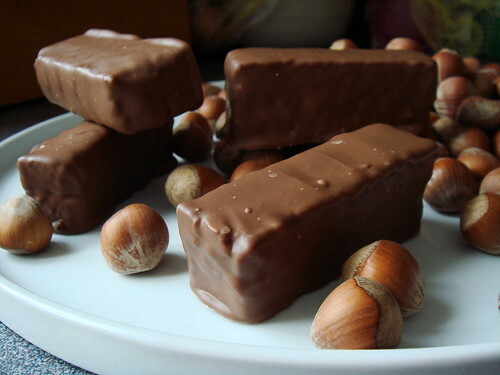 Or the surprises you felt from the decadent samples of Nutella nougat and spiced hazelnut shortbread with milk chocolate. I worked hard to create these unique treats. These are sweets that I crave. I am thrilled that you love them as much as I do! I still have a limited supply of individual pieces available for sale. You can check out the catalogue for current selection and email me to place an order. A handful of gift sets are also available but they’re running out quickly. You can shop for them at the online store. Thank you to all of you who came out to Kristlemas Market and made it memorable! You can follow me on twitter or Facebook to get up-to-date information on future market appearances. Have a sweet and happy holiday! I love the anticipation of counting down to the holidays but most mass-produced advent calendars contain disappointingly waxy tasteless chocolate. What if December 1st has already come and gone? It’s still not too late to count down day by day, Candy By Candy style! 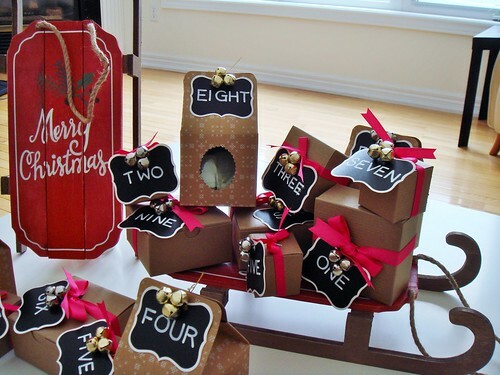 My Holiday Countdown Sleigh is piled high with treats big and small for something sweet everyday until Christmas. 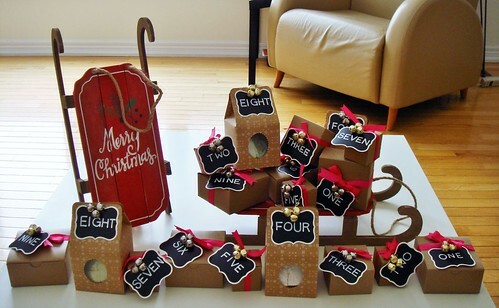 The keepsake wooden sleigh also makes great holiday decor. Only two sets are available at this Sunday’s Stratus Vineyards’ Kristlemas Market. Get yours before both are gone! Can you believe it’s only three more sleeps until Stratus Vineyards’ Kristlemas Market? 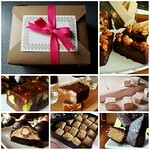 As a special surprise, I will have a small number of Kristlemas Special Bars at the pop up shop this Sunday. How special, you ask? 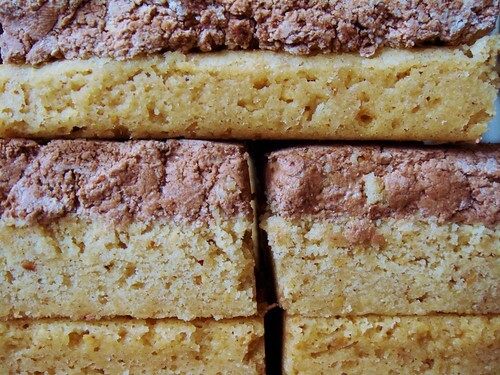 This is a twist on the popular Peanut Butter Nougat Bar. A layer of buttery hazelnut shortbread and a layer of fluffy Nutella nougat are surrounded by milk chocolate, with just a hint of cinnamon and allspice. I only made a small batch so they are not even available for online ordering. I’m saving them all for the fabulous market! Hope to see you there and don’t forget to ask me about the Kristlemas Special Bar! Delivery And Pick Up Begin This Week! Last weekend was a busy one in the kitchen with back to back production nights. I am happy to report that all the candies are ready! If you catch a glimpse of my home, you may think you run into an epic trick-or-treat preparation. The table is piled high with chocolates. Quite a sight to behold. Those who pre-ordered online are starting to receive the gift sets at pre-arranged deliveries and pick ups. Will I see you at Kristlemas Market this upcoming Sunday? Candy By Candy © 2014 Candy Wong. All Rights Reserved.